The African Ports Evolution show (17 – 18 October 2017 at the Durban ICC) has been selected by US-based Rajant Corporation to spotlight its Living Network infrastructure, geared to help port authorities meet challenges related to optimising cargo movements. Partnering with Duxbury Networking, the local high-technology distributor, Rajant will be demonstrating the viability of its wireless Kinetic Mesh Network technology at the show. Rajant’s mesh networks address the growing demands from port officials, inspectors and employees as well as terminal operators and shipping lines for proven, secure, future-proofed wireless communications solutions. With approximately 90% of the world’s trade carried by the international shipping industry, port efficiency is key to the flow of commodities and capital worldwide, says Teresa Huysamen, Wireless Business Unit Manager at Duxbury Networking. She maintains that new-generation networking technology is needed at South Africa’s ports in order to introduce improved service offerings required to handle burgeoning cargo volumes with world-class efficiency. Huysamen says a Rajant mesh technology network will assist port officials to better manage the countless operational and security functions involved in the successful movement of cargo. “For example, the numerous workers, ships, containers, equipment and vehicles roaming through a port complex environment must be properly monitored and orchestrated to ensure the speedy and secure flow of goods. Mobile mesh networks will meet this goal while significantly reducing operational costs. “In this light, Rajant’s wireless technology is able to turn a port’s network into a strategic, highly-productive asset that can cost-effectively provide port-wide access, expand network reach and enable network-wide mobility to support a variety of applications,” she says. Huysamen adds that with real-time access to critical information sourced from these applications, operations can be performed more efficiently and officials, inspectors, employees and tenants will become more productive as they move around the port. 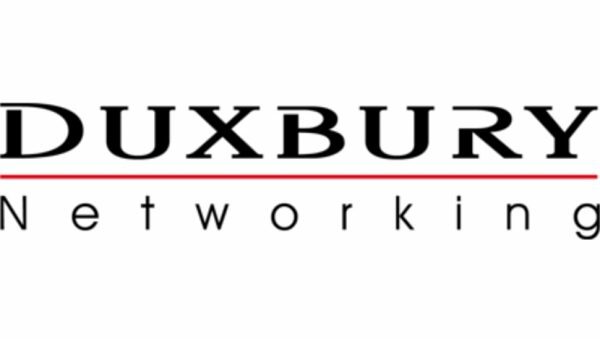 Visitors to the Duxbury Networking stand at the African Ports Evolution show can also gather information on how a Rajant wireless mesh network is able to be cost-effectively deployed and scaled to hundreds of high-bandwidth nodes, with the flexibility to add capacity and reach when and where needed.